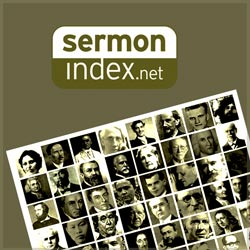 SermonIndex is not an attempt by man to build something for God. It began as God gave the burden and only will continue as He is guiding the work being fully trusted. It began by a work of God's Spirit and for His glory: Not by might nor by power, but by my Spirit, says the LORD Almighty (Zechariah 4:6). The work and ministry of SermonIndex can be encapsulated in this one word: revival. Concepts such as holiness, purity, christ-likeness, self-denial, and discipleship are hardly the goal of much modern preaching. Thus the main thrust of the speakers and articles on the website encourage us towards a reviving of these missing elements of Christianity. Listen and subscribe now to the best Christian podcasts today from podcasters just like SermonIndex. These popular Christian podcasts are available to listen to and download for free on Faithplay. Faithplay is filled with more episodes from SermonIndex and other top Christian podcasts. Download Faithplay today and start listening!